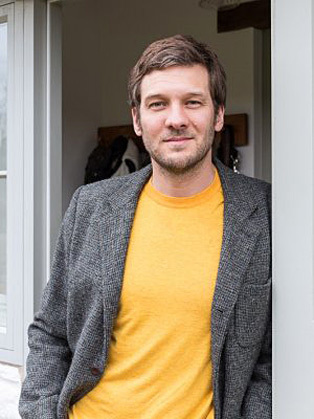 Charlie Luxton began his broadcasting career presenting Modern British Architects for Channel 5. Since then, he has gone on to present Britain’s Hidden Heritage (BBC 1), Restored to Glory and Rebuilding The Past (BBC 2), Homes and Property (ITV), Supercommuters and World’s Weirdest Homes (Channel 4) and Build A New Life In The Country (Channel 5). Charlie has worked for a number of architecture practices becoming a founding director of Free State in 2000. Past projects include Zoomorphic, an exhibition for the V&A and Electric Storm, a three month renewable energy event on the South Bank in London. In 2005 he left London and Free State to focus on sustainable housing. As Charlie Luxton Environmental Design he is currently working on several sustainable housing projects in London, Wiltshire, and the Cotswolds, where he now lives with his wife and two children. Charlie regularly gives lectures, hosts awards and facilitates conferences. His speeches cover a wide range of topics relating to architecture, sustainability and design. Charlie’s session was inspiring, engaging and delivered with both authority and flair. His knowledge and passion for sustainable architecture were evident throughout his speech and we were particularly impressed by his willingness to continue the debate informally after the session. Many delegates fed back to us that his session was the highlight of the event for them. …thank you so much for your contribution. Your presentation was excellent and very well received, once again thank you for all your efforts in putting it together! I would be grateful if you would pass on to Charlie my personal thanks for his excellent Chairmanship…It was a pleasure to meet him. Many delegates have said that a highlight was the fantastic rapport and debate Charlie developed with the speakers…the questions he asked captured the audience’s interest and kept the whole day running smoothly.